Leave them Stirred, Not Shaken! You don’t have to be a born speaker to be a good one. The core message of this book is that if you put the right filter in place you will connect with your listeners and they will want to hear what you have to say. You will then have the chance to touch their hearts and make a difference to them. This book provides the techniques and everything you need, from preparation to standing ovation—from the man who has been there, done it and worked out the best way. 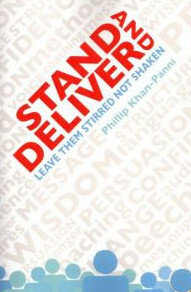 If you ever have to deliver a speech or presentation, this is the book that will get you ready to make an impact! It’s a very easy read and is packed with the wisdom of the UK’s only World Silver Medallist in Public Speaking! Ever made a presentation and noticed that some in your audience were not listening? Ever had a conversation with a person who kept looking over your shoulder for someone more interesting? Ever tried to make your point in a meeting, only for the chair person to cut you off before you were finished? If anything like that has ever happened to you, you need Getting Your Point Across . 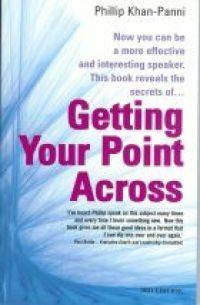 Getting your point across is a skill that will get you noticed and give you the competitive edge in business. It will make you more interesting, give you the high ground in group discussions, gain you the respect and even the admiration of your peers. This book will help you. 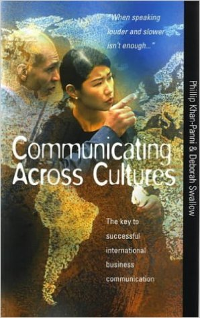 It’s an easy read and includes How to communicate … Making your point in just a minute … How to avoid being boring … Obstacles to clear communication … and much more. So he asked, and you’ve accepted. Now you face the brief but terrifying prospect of making the Best Man’s speech. 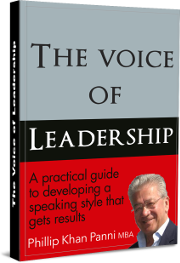 In this book you will find all the help you need to get that fear under control, and to make a speech that will amaze your friends and family. 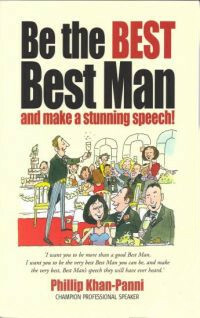 However, this is more than a speech book—it’s a one-stop guide to being a really effective all-round Best Man. It will help you to enjoy your role as Best Man and make the occasion successful as well as memorable. While the groom basks in the goodwill of everyone present, the Best Man is in the spotlight. With the guidance of this book, it could be an opportunity for him (or her!) to buckle his swash. There are plenty of jokes, celebrity sayings, anecdotes and sample speeches to simplify the process of delivering a stunning speech. When you are up against a looming deadline, or have a presentation thrust upon you at short notice, the practical guidance in this ultimate How To book will take the terror out of the prospect. It offers you far more than a template for rapid preparation: you’ll find out how to focus on your core message and let it shine through. Above all, it will show you how to give a good account of yourself when you have to prepare on the run. It will help you overcome that most difficult moment—getting started. The blank page stays blank while you search your mind for the right words to launch your speech or presentation. It explains the use of structure, and provides several simple outlines to follow. 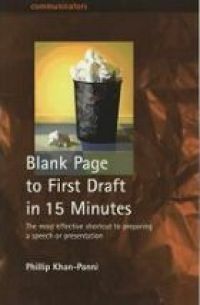 Once you master the process, and it’s really not hard, you will be able to go from blank page to first draft in as little as fifteen minutes. Doing business in another country is much more than flying out, staying in a posh hotel and eating different food. It’s entering a different world, and you need to learn the rules. For that you need patience, preparation and an open mind—and this unique book. You’ll find the answers to all these questions and more plus ten best tips for doing business in each of forty-five nations. You’ll also learn useful skills such as how to adapt the content and structure of a presentation to the tastes of the nationality receiving it. The critical knowledge you need to plan, write and deliver your next presentation with maximum impact. It will also help you develop your presentation skills for the future by showing you how to coach yourself so you can consistently improve your performance. Written by a co-founder of The Professional Speaking Association, this book focuses on getting you the results you need from your presentation, whether you are selling a product or service, a proposed change, or even your own skills and abilities. It will show you how to persuade your audience by being relevant, clear, engaging and memorable. Prompts to help you reflect on, evaluate and learn from your experience. With advice that’s instantly applicable, whether your presentation is a pitch to the board, a bid for new business, part of a job application process or an opportunity to build your profile as an expert in your field, this is the one guide you can’t do without.